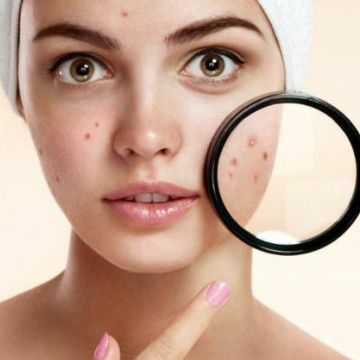 Acne can come in the form of plugged pores (blackheads and whiteheads), pimples, and even deeper lumps (cysts or nodules) that occur on the face, neck, chest, back, shoulders and upper arms. This sin condition affects most teenagers to some extent but is not restricted to any age group. When severe, acne can lead to serious and permanent scarring. Even less severe cases can sometimes lead to scarring as well. Nearly everybody between the ages of 12 and 17 have at least an occasional form of acne regardless of race or ethnicity. Many people are able to manage their acne with over-the-counter (nonprescription) treatments. For some, however, acne is more serious. The appropriate treatment for acne depends on the severity. Options may include mild over-the-counter treatments, prescriptions, Accutane, or laser treatments.